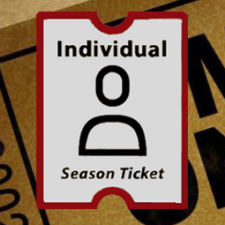 Are You Interested in becoming a GCA member / season ticket holder? Yes, I'd like to learn more about membership No, please do not send me membership requests. I am already a GCA season ticket holder. 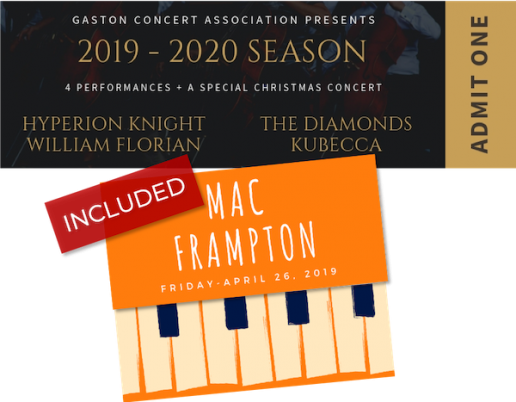 Buy your 2019 – 2020 Season membership now, and in addition to a season ticket for the upcoming season, you’ll also get a free ticket to this season’s finale performance, Mac Frampton! 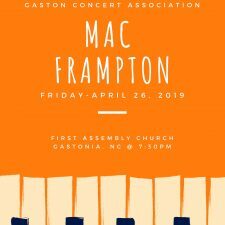 An incredible value at just $50 plus tax, you’ll get access to a total of 6 Gaston County Concert Association performances, plus more than a dozen Reciprocal Concerts from our partner associations for the 2019-2020 season (to be announced). All concerts will begin at 7:30 pm. > Learn more about the lineup here. The 2019-2020 Season will include a special Christmas concert. The concert will feature Dr. John Siler playing the pipe organ and accompanied by a Brass Quintet. The concert will be at Holy Trinity Lutheran Church on December 13, 2019 and will begin at 7:30 pm.